Today I’m loving .. all things blue. 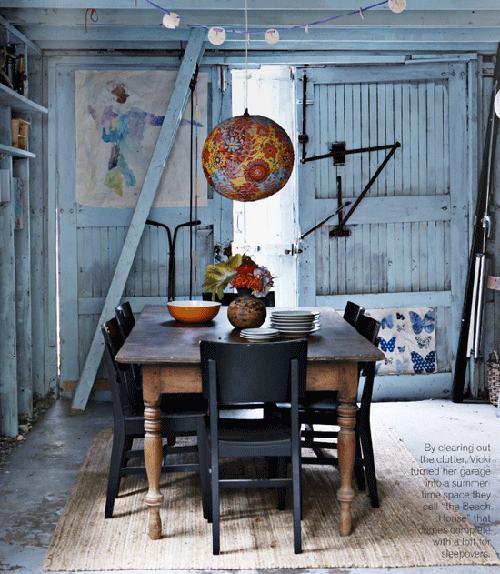 In the image above framed blue bandanas are used as wall art (featured in Martha Stewart Living, via Poppy Talk and Apartment Therapy). 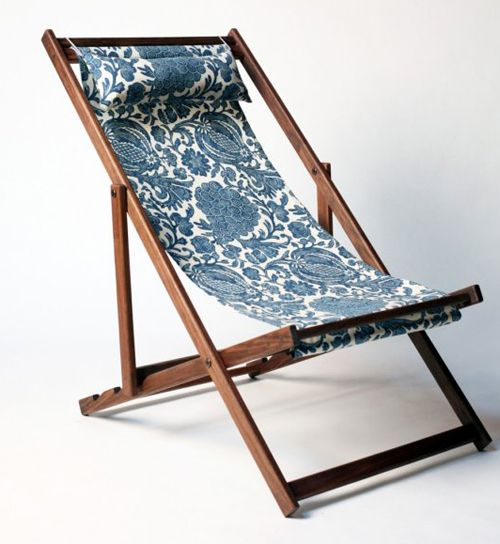 A beach chair made from a beautiful blue/white patterned fabric. 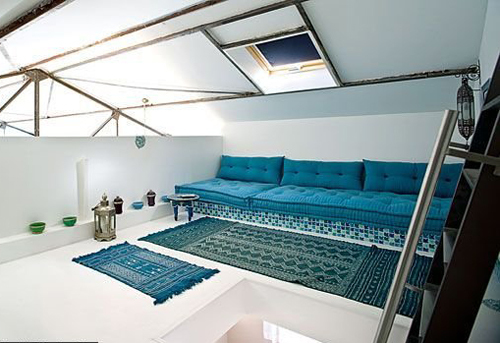 Comfortable blue cushions and blue rugs (image from Cote Maison). 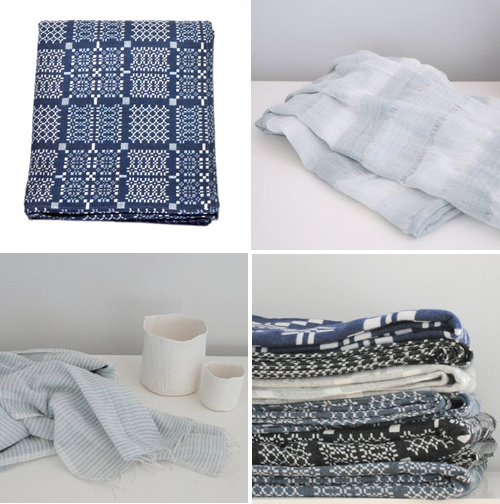 Blue scarves and throws from Coterie. 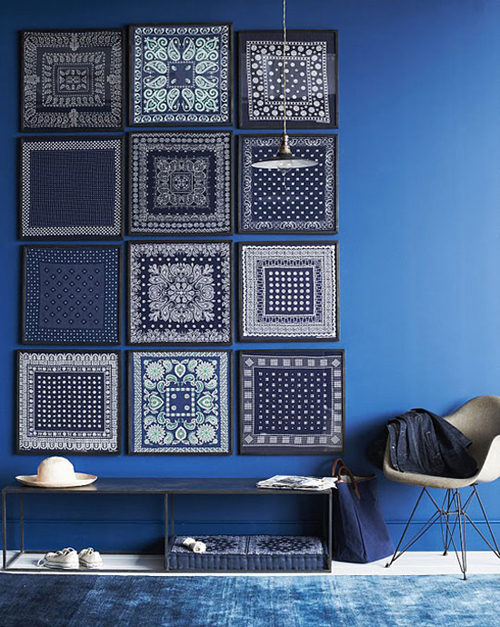 I like the clean crisp vibe of the framed grid of navy bandanas on the wall. during Summer vaca while enjoying lemonade and sugar cookies. Thanks. Great patterns! I really like the last picture, the colour of the doors and walls are just spot on. It matches well with the paintings and the dining table and chairs. I really like that blue! Thank you so very much for including Coterie in this amazing post. How I love blue and white! I love the impact that framing a few of the same things gives a room, especially when all the patterns are different. And top it off with a bold blue wall color and you have yourself a wow factor. omgggg i love all those blue rags. i was guna cover my wall completely in blue rags & then leave one wall for all the different types of rags. whoever made that room up or had that idea, your a genious. (: cz up!